The utilization of X-rays by our office is determined by your injury or condition and are only ordered when necessary and appropriate. We have an X-ray facility on site for your convenience. 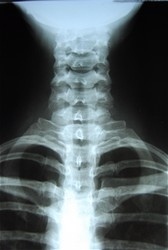 X-rays aid in the diagnosis of your condition and may lead to the ordering of additional, advanced imaging studies i.e., MRI, CT, Bone Scan, and/or Ultrasound.